DC Comics Swamp Thing will stream exclusively on DC Universe starting May 31, 2019! Click here to Shop the official DC Comics Online Store & get more info on DC Universe at ShopDCEntertainment.com! Batman 1989 in 4K + Funko Pop! For the first time in 4K Ultra-HD: Batman 1989! This collector edition from WB Shop includes a Batman 80th – Batman (1989) Funko Pop! Vinyl Figure! Shazam! Blu-Ray + Funko Pocket Pop! 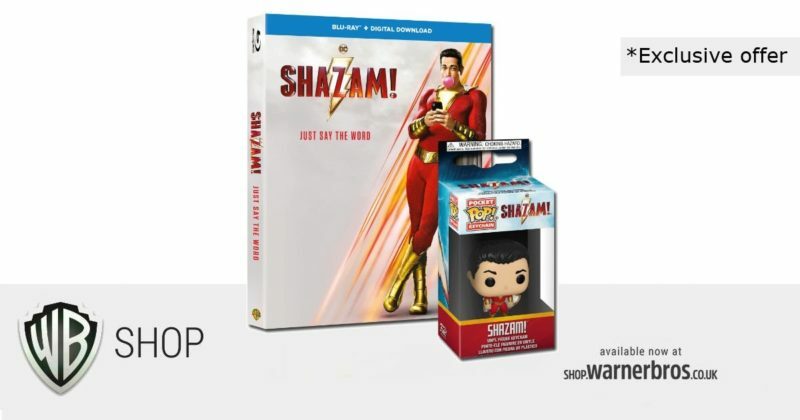 Check out this exclusive offer from Warner Brothers WB Shop in the UK: The Shazam! Blu-Ray + Digital Download combo with Funko Pocket Pop! Shazam! Keychain! As of now, this deal seems to only be UK based, but we will update if there are any developments for us here in the USA. Pre-Order Shazam! at WBShop UK & get a free Funko Pop! Keychain! Shop WBShop.com for Official & Exclusive Merchandise! 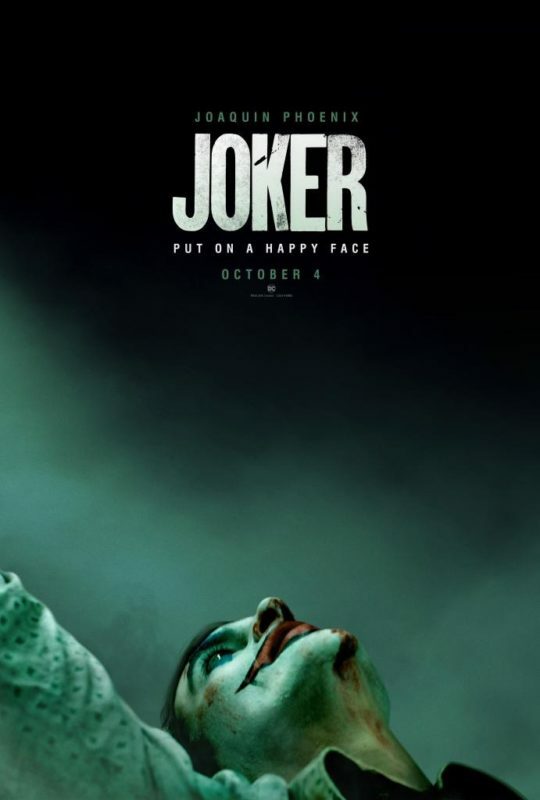 See the Joker movie poster here! Warner Brothers and DC Comics Joker movie comes to theaters October 4, 2019! Warner Brothers and DC Comics Shazam! movie comes to theaters April 5, 2019, but here’s some info on how you can see it early! 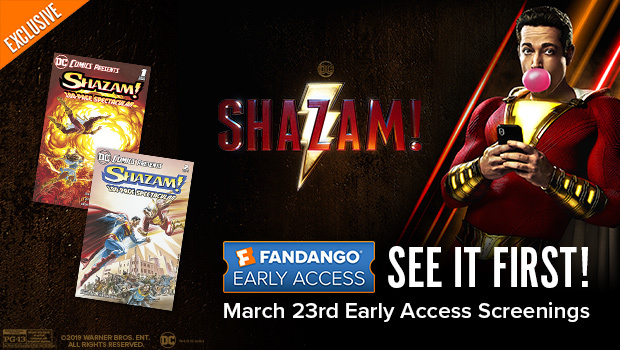 Click the banner above or the Link below to get showtimes and tickets for the March 23 Fandango early access screenings!